At Howells, we pride ourselves on delivering a high quality service and responding to our customers on an individual level to ensure your needs are met. Over the years, we have received many different awards to recognise the standard of practice that we provide. 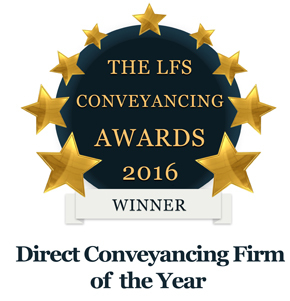 As a firm and as individual solicitors we have achieved many awards and recognition, here they are all in one easily accessible location. Howells Solicitors provides a 'highly professional and personable service' across the panoply of family law matters from public/private child law matters through to high-net-worth divorces. Team head Richard Scott has a particular niche advising police officers on their divorces and has developed true insight into the peculiarities and complexities inherent in police pensions. A good deal of Scott's work in this respect comes from instructions derived from the firm's position on the South Wales and Gwent police federations' approved panel. In addition to his police force work, Scott also handles a wide spectrum of family law matters including cases relating to complicated financial proceedings involving foreign assets, children cases and prenuptial agreements. Based in the firm's Caerphilly office, Jayne Hunt is also recommended. 'A very credible outfit in the Cardiff market for contentious trusts and probate matters', Howells Solicitors has an 'historic strength in this area of work but appears to be strengthening with a growing caseload'. 'Highly regarded among the south Wales private client community', team head Laith Khatib 'achieves excellent results for his clients' across a range of contentious probate matters including representing both claimants and defendants on cases involving will validity. Khatib is well regarded for his 'dealings with opponents but is also unfailingly polite and courteous'. Active on both the non-contentious and contentious front, the 'very approachable' Paul Lindsey 'has always been able to strike a perfect balance between handling matters from the straightforward, to the very complex, while maintaining an unrivalled level of client care'. As well as handling claims under The Inheritance (Provision for Family and Dependants) Act 1975 Act, Lindsey also advises clients in connection with contentious Court of Protection matters and trust disputes. Howells Solicitors continues to thrive in the local private client market and is 'equivalent in size and technical ability to some of the largest Cardiff-based firms'. Active across the spectrum of non-contentious and contentious work, the team generates a significant amount of mandates from third party instructions, and therefore offers a very bespoke service, as opposed to one relying on volume commoditised work. Team head Laith Khatib 'is held in high regard amongst the south Wales private client community', particularly in relation to contentious probate matters, where he is recognised as one of the market leaders. Paul Lindsey is 'something of a rarity in the field, in that he is able to advise clients on both contentious and non-contentious matters', and picks up a significant amount of work for many wealthy south Wales families including business owners and agricultural clients. 'Able to strike a perfect balance between handling matters from the straightforward, to the very complex, while maintaining an unrivalled level of client care', Lindsey is well regarded for his ability to advise on high-value Court of Protection cases, as well as handling estate planning work. The 'empathetic and very patient' Claire Davis displays a 'very thorough knowledge of her field' and is particularly accomplished at handling work associated with the elderly and protecting the interests of the more vulnerable in society. 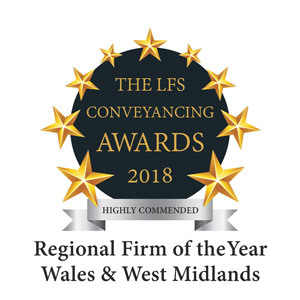 Although it remains best known for its residential conveyancing expertise, led by Rhidian Hobbs, Howells Solicitors also has significant capability across a range of commercial property work, including advice on landlord and tenant matters, development issues and business transfers. Howells Solicitors retains a strong presence in the south Wales market for handling claimant employment work and has also begun to develop a growing respondent offering on behalf of a broad range of SMEs and charities. Associate Gemma Bailey advises both individual and company clients on employment disputes in all aspects of employment law. 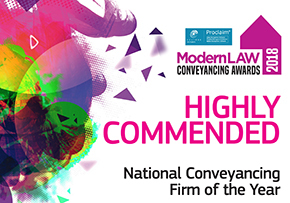 On Thursday 12th July, Howells Solicitors were Highly Commended in both the Best Conveyancing Firm in Wales and the Best National Firm of the Year at the Rum Warehouse in Liverpool. Read about the awards here. On April 18th Howells Solicitors were delighted to win the Professional Services Award at the Cardiff Regional Awards finals. Read about the awards here. Fielding two practitioners in Cardiff and one in Caerphilly, Howells Solicitors ‘really does punch above its weight’ and provides an ‘excellent service’ on everything from public/private child law matters to high-net-worth divorces. ‘Standout lawyer’ Richard Scott provides ‘sensible, realistic advice and is able to quickly identify what the case is about and what the objectives for the client should be’. Scott has a particular niche advising police officers in divorce proceedings and regularly handles matters on behalf of the South Wales and Gwent Police Federations. As well as his police force work, Scott also handles work covering the waterfront of family law including cases relating to complicated financial proceedings involving foreign assets, children cases and pre-nuptial agreements. At Howells Solicitors, ‘very knowledgeable’ and ‘technically sound’ team head Laith Khatib is ‘one of the leading contentious practitioners in Wales’ and has significant experience in all manner of estates, including those involving commercial issues. As well as handling direct instructions, Khatib often receives referrals from other law firms. Recent work has included prosecuting and defending numerous claims brought under The Inheritance (Provision for Family and Dependants) Act 1975. The ‘responsive and commercial’ team at Howells Solicitors has a ‘real ability to think outside the box’, enabling it to provide particular value to clients on complex estate planning matters. Although he is perhaps best known for his contentious probate expertise, the ‘very knowledgeable and calm’ Laith Khatib also provides ‘practical and sensible solutions’ to clients across the gamut of estate planning work, including the preparation of complex wills and lifetime trusts designed to protect assets and/or reduce IHT exposure. Claire Davis continues to advise families on setting up wills and lifetime trusts, with an emphasis on protecting vulnerable and disabled children. Consultant John O’Connell has vast experience in the private client field; in addition to advising on wills and lifetime trusts, he is also involved in a professional deputy capacity to help look after the property and financial affairs for clients who lack capacity. ‘Helpful and supportive’ solicitor Hayley Rees has significant private client experience, including advising unmarried couples on the protection of their assets in the event of the breakdown of the relationship or death of one of the parties. Howells Solicitors acts for its impressive roster of private clients on high-end residential conveyancing work, and also handles standalone commercial property matters. Rhidian Hobbs leads on the commercial property front and has expertise across a range of matters including landlord and tenant, owner-occupier work, development and business transfers. 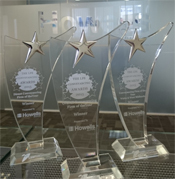 To read more about the awards and accreditations awarded to Howells please click here. 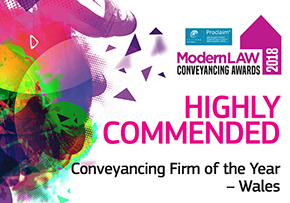 On Thursday 13th July, Howells Solicitors won the Best Conveyancing Firm in Wales at the Rum Warehouse in Liverpool for the 2nd year running – Read about the awards here. 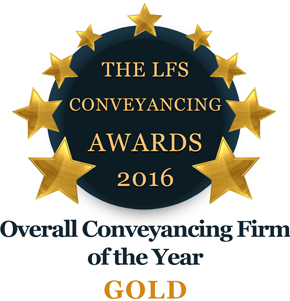 Voted the Best Large Conveyancing Firm in the UK (Silver) by the Times and Sunday Times 2016. 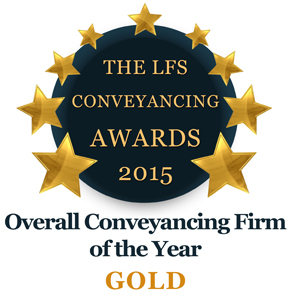 Howells Solicitors were delighted to win this award to cap of an excellent year of award wins. 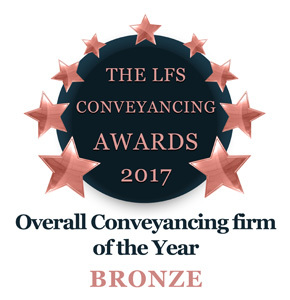 Howells Solicitors have achieved a first for any UK law firm and won the three categories above at the conveyancing prestigious annual Law Firm Services Awards (For the 2nd year running!). 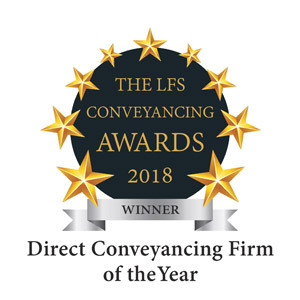 On July 14th, Howells Solicitors won the Best conveyancing Firm in Wales Award at the Rum Warehouse in Liverpool – Read about the awards here. On April 7th Howells Solicitors were delighted to win the Professional Services Award at the Cardiff Regional Awards finals. Read about the awards here. Clients of Howells Solicitors single out Richard Scott as ‘a good and sensible family lawyer’. Under Personal Tax, Trust and Probate our Cardiff branch was awarded 3rd place. Co-headed by the ‘patient and understanding’ Laith Khatib and John O’Connell, Howells Solicitors ‘performs exceptionally well in this area’. Claire Davis helps families set up wills and lifetime trusts to protect vulnerable and disabled children. 4th Place was awarded to Howells for Commercial Property Cardiff . At Howells Solicitors, Rhidian Hobbs has expertise in landlord and tenant work as well as development and business transfers. Howells Solicitors Employment Department were ranked 6th place. Howells Solicitors’ employment practice is ‘one to watch’. 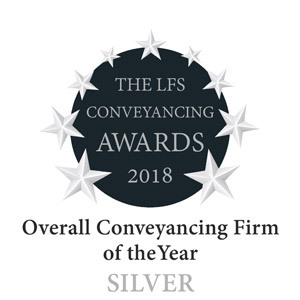 Howells Solicitors have achieved a first for any UK law firm and won the three categories above at the conveyancing prestigious annual Law Firm Services Awards. This annual award was presented to Howells based on how the family law department managed complex cases over the last 12 months. It is the first time in the history of this award that a Welsh law firm has been awarded the accolade – recognising our skill and expertise. Margaret Philips named in elite “Leading Lawyers" list from the Legal 500 UK 2014 Guide. Richard Scott at Howells Solicitors has a strong reputation in the region; he and Margaret Phillips act in cases involving substantial assets, including offshore trusts. The firm also has expertise in ancillary work involving police force pensions. At Howells Solicitors, Claire Davis is ‘highly regarded' and John O’Connell is also recommended. 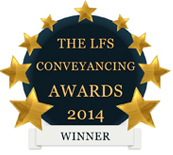 Shortlisted for CQS Award for Excellence in Conveyancing Practice in the Law Society Excellence Awards. 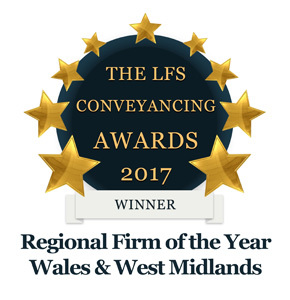 This prestigious award, sponsored by the Times and the Sunday Times, ranks Howells as the highest placed solicitor in Wales and across Southern England. This is a true testament to the excellent standard of conveyancing that Howells provide.